Condition: Very good. Contemporary coloring, please study image carefully. Overall size: 50.5 x 40 cm. Image size: 33 x 28.5 cm. 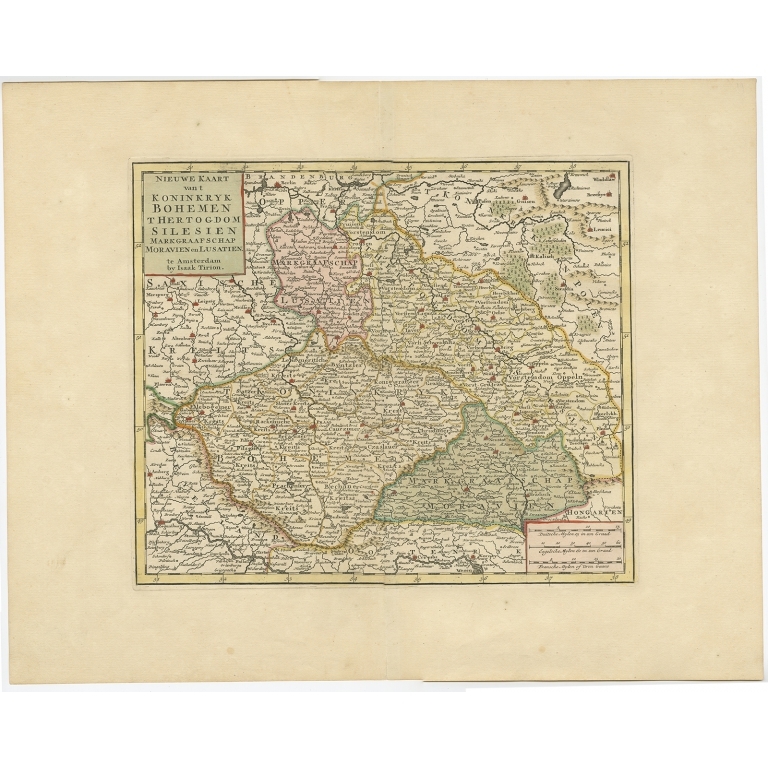 Description: Antique map titled 'Nieuwe Kaart van t Koninkryk Bohemen t Hertogdom Silesien markgraafschap Moravien en Lusatien'. 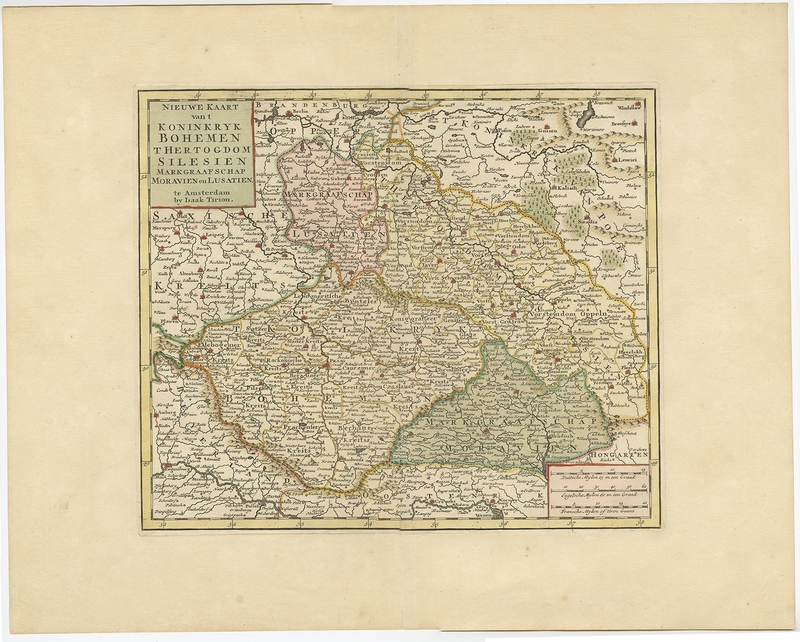 Map of Bohemia (Czech Republic) with the surrounding regions. Artists and Engravers: Isaak Tirion, a Dutch publisher in Amsterdam, born 1705. He produced serveral Atlases and Dutch town plans.